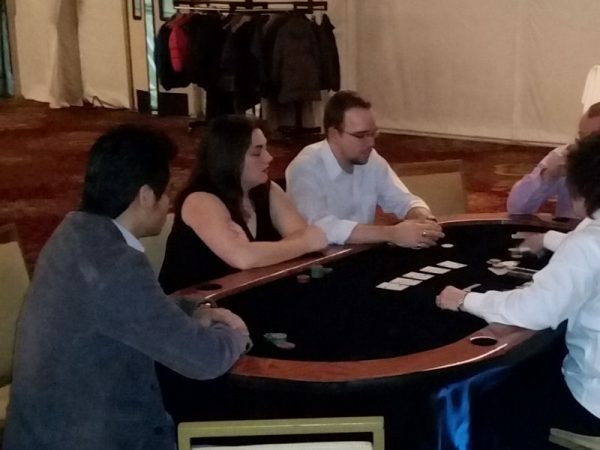 Casino style poker tables will enhance any special event providing hours of entertainment for corporate and casual guests alike. Our felt topped tables have spots for 8 players and a dealer to pull up a chair. Our tables are for novelty entertainment and décor only. These tables may only be used in the manner currently allowed by the state as well as the county, site and municipality in which they will be used by the renter. Renters are responsible for acquiring and obeying all current state, county, site and municipality laws regarding the use of any casino tables. 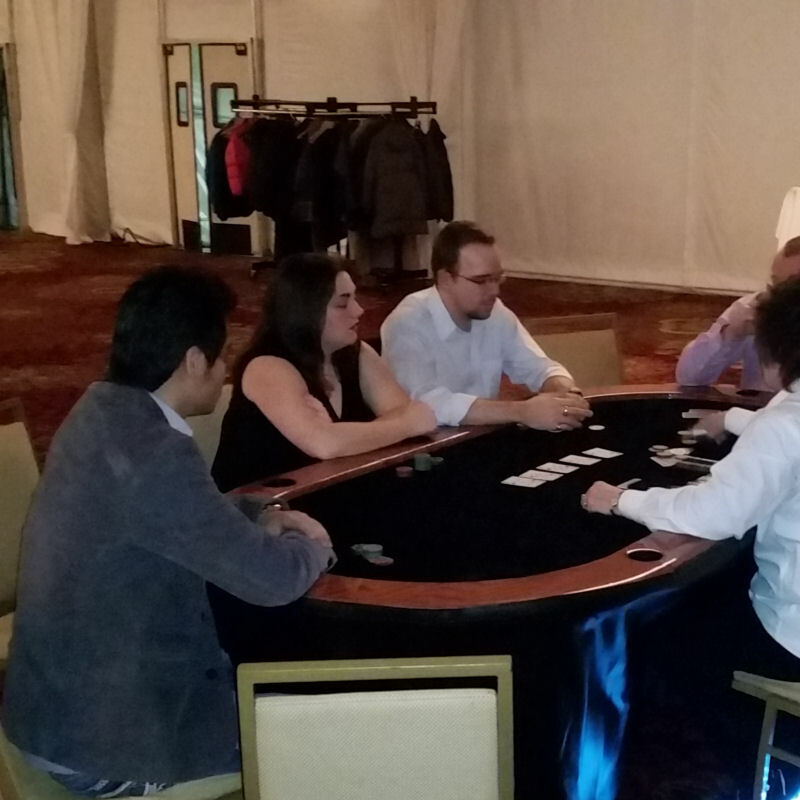 Professional Poker & Texas Hold ‘Em dealers are available for an additional fee.